Under authority granted by the United States Congress through sections nine and sixteen of the organic Act to Establish a Territorial Government for Utah (approved September 9, 1850), Governor Brigham Young (through a proclamation dated August 8, 1851) and the legislative assembly (through an Act Concerning the Judiciary, and for Judicial Purposes, approved October 4, 1851) organized three judicial court districts. Authorized by Congress, the Legislative Assembly of the Territory of Utah passed an act to organize and create the new fourth district on March 10, 1892. Established as a trial court of general jurisdiction, its purpose was to provide for the equitable distribution of justice to the people of the district and to help keep the domestic peace. Upon the organization of Utah territory by the U.S. Congress, the district courts were given the same jurisdiction in all cases arising under the Constitution and laws of the United States as was vested in the circuit and district courts of the United States. The first six days of the term, or so much as was necessary, were appropriated to the trial of causes arising under the U.S. Constitution and laws. District courts were empowered to naturalize resident aliens and call grand juries. Utah's Legislative Assembly on February 4, 1852, passed legislation defining the jurisdiction of the territorial courts. Original jurisdiction, "both in civil and criminal cases, as well in chancery as at common law" was given to the district courts and the county probate courts. The district court was given "general supervision over all inferior courts, to prevent and correct abuses where no other remedy is provided." District court judges were charged to report all omissions, discrepancies, or other evident imperfections of the law to the legislature at each regular session. They were authorized to solemnize marriages and effect name changes. Through the 1874 Poland Act Congress gave exclusive original jurisdiction in proceedings in chancery, all actions involving sums of $300 and greater, and all controversies where the title, possession or boundaries of land, or mines or mining claims were in dispute to the district courts. At the same time Congress limited the jurisdiction of the county probate courts to cases involving the probate of wills, the administration of the estates of deceased persons, and the guardianship of minors, idiots, and insane persons, and prohibited jurisdiction in civil, chancery, and criminal matters. In 1888 the district courts were granted exclusive jurisdiction in divorce cases. Civil matters involving large sums of money and criminal trials for felonies (serious crimes punishable by incarceration in prison) were adjudicated in the district court. The district court heard appeals to decisions by United States commissioners, county probate judges, and justices of the peace. Decisions of the district court could be appealed to the territorial supreme court. A writ of error or appeal to the Supreme Court of the United States from the decisions of the district court upon any writ of habeas corpus involving the question of personal freedom was also allowed. At its inception, the Fourth District court in and for the Territory of Utah was administered by the individual supreme court judge assigned to hold court in the district and the clerk of the court. The court was given statutory authority to adopt rules "to carry out the purposes of the statutes, and to subserve the ends of justice." Judges were appointed to the bench by the president of the United States with the advice and consent of the senate and assigned by the governor or legislative assembly to a specific district. A provision of the 1874 Poland Act enabled district court judges to request assistance from a justice in either of the other two districts in holding all or part of any term. The acts of the assisting judge would be recognized as having the same force as those of the resident judge. The court clerk, bailiffs, and court reporters were appointed by the judge and served at the pleasure of the court. The clerk, who kept office at the place where court was held, also served as the register in chancery. From as early as 1850, Utah has been divided into judicial districts. There were only three districts in the territory from its organization in 1850 until 1892, when a fourth district was added. Taking in the five counties which constituted the northern division of the first judicial district, the newly created fourth district was created on March 10, 1892, and consisted of Box Elder, Cache, Morgan, Rich, and Weber counties in northern Utah. Congress authorized a fourth district judge to be assigned to Utah in legislation passed June 25, 1888. The new associate justice was assigned to Ogden, seat of the northern division of the First District. A memorial to Congress (approved January 29, 1890) requested the authority to create a fourth district which eventually was granted enabling the Legislative Assembly to organize the new district. The five counties embraced by the northern division of the first judicial district were assigned to the new Fourth District when it was organized by the Legislative Assembly. Through periodic proclamations the territorial governor set terms for court sessions in each judicial district. Regular terms in the new Fourth District Court were to be held in Ogden beginning with the June 1892 term set to open June 1, 1892, as proclaimed by Elijah Sells, acting governor, on May 31, 1892. Ogden previously hosted regular terms of the Third District Court (1878-1880) and was the seat of the northern division of the First District (1880-1892). After statehood the practice of hearing cases from throughout the district primarily in Ogden, was replaced by holding regular terms at the county seat of each county within the district. The new constitution established seven districts throughout Utah in an effort to place the courts within easy access of all the state's citizens. The newly reorganized Fourth District was composed of Utah, Wasatch and Uintah counties. Ashton, Clifford L. The Federal Judiciary in Utah. Salt Lake City: Utah Bar Foundation, 1988. Goodwin, C. C. History of the Bench and Bar of Utah. Salt Lake City, Interstate press association, publishers, 1913. United States. Congress. An Act to Establish a Territorial Government for Utah. United States. Congress. Provisions of the United States Statutes Applicable to the Territory of Utah. United States. Congress. Provisions of the Revised Statutes of the United States Applicable to the Territory of Utah. United States. Congress. An Act in Relation to Courts and Judicial Officers in the Territory of Utah. Approved June 23, 1874. United States. Congress. Naturalization of Aliens. Utah. District Court (Fourth District). Minute Books. Series 5062. Utah. Historical Records Survey. Inventory of the County Archives of Utah, 30 vols. Utah. Legislative Assembly. Acts, Resolutions, and Memorials of the Territory of Utah. 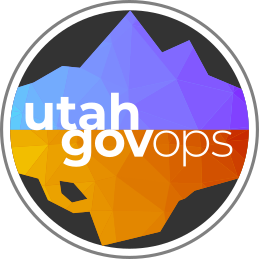 Included in Utah Code Annotated, Series 83238. Utah. Legislature. Territorial Legislative Records. Series 3150. Utah. Secretary of State. Executive Record Books. Series 242. Whitney, Orson F. History of Utah. 4 vols. Salt Lake City: G. Q. Cannon & Sons Co., 1892-1904.